If you have borrowed money in the past and followed the proper payment structure, then the odds are that you are still in good standing. This means that when your credit is checked during the time you apply for a mortgage, the chances for refusal are low. Some lenders will just take your word as to how much you make; since the economic downturn, however, more lenders are requiring full verification of your income. 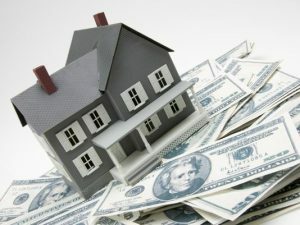 Nevertheless, a large number of mortgages are still made with “stated income” loan applications. These require less paperwork and time, which speeds up the process of getting a loan. A stated income application in general doesn’t require any written verification for income or tax returns. However, mortgage lenders do not make these types of applications available to everyone — as a lender, you must be in good standing and a strong borrower. Most borrowers who get these applications are refinancing with a good amount of equity in their home or were buying the home with a solid down payment. Lenders welcomed these types of applications because of high credit score along with high equity, which is required with the typical, application process. Stated Income loans are really helpful for a self-employed person. These are people without pay stubs or W-2 statements that are easily available for check. While a stated income application makes the loan process easier, there is a lot of misinformation about it. This results in missed opportunities where one might be better served with a different kind of loan application. As a borrower you need to know the type of application that you are getting. There are many different types, and the differences with them can be important to the individual who is borrowing. Ask about such things as speed, possible cost, the need for accuracy and tax records. With a better understanding on the loan application process you the borrower can make better choices. Now to answer the question: is a stated income application for you? Here are 5 issues to consider. 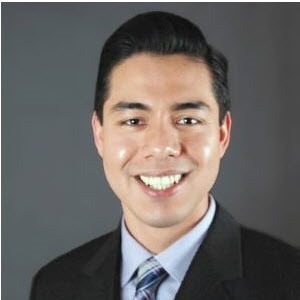 Introducing SetSchedule’s Featured Member, Al Gomez with TNG Real Estate Consultants, Orange County CA! We will be highlighting outstanding real estate agents on a regular basis, including their experience, their specialties, and their approach to real estate. A: I started working for an investment property firm as a Marketing Coordinator in 2008, and soon began taking an interest towards real estate. I decided to pursue my career as a REALTOR®. Q: What’s your favorite part of your career? A: Always acting in the best interest of my client and never feeling obligated, but privileged, to assist others in making one of the biggest decisions in their life. A: It’s okay to be different. If an idea comes to mind, go with it and be bold. Don’t worry what others will say because you just might be a game changer! A: Knowing when it is time to shut off the computer and make time for family and friends. Deciding to buy or sell a home is a huge decision and should not be taken lightly. Not working with a professional real estate agent that has been specifically trained to cope with the ins-and-outs of this process can be costly and time consuming. Ultimately, there are a lot of advantages to bringing in a professional. Let’s briefly review a few of the pitfalls associated with selling your own house. First, you will likely not get the best price. 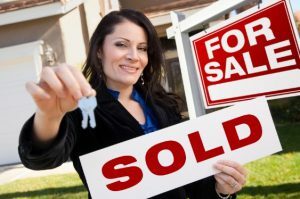 People who are looking for a home with the “for sale by owner” tag are looking for a bargain, because they think that the commission will be costly and unnecessary. The reality is that an FSBO listing won’t be saving you money, because a seller who lists their own home will end up with the same amount of money that an agent would get them after everything is already said and done. Second, sellers notoriously think their home is more valuable than it may be, because the owner is too emotionally attached to their home. Buyers seeking to purchase a home are always trying to get the best buy. If you use an agent, you won’t be negotiating with the seller – the agent will. In trying to close the deal, the agent will work with both parties to negotiate the best deal that they can. If this your first time buying a home, using an experienced agent will get you the best deal because you won’t have to become familiar with the financial and legal attributes involved in the sale. Since the agent has gained experienced, the agent will leverage the best deal. When you choose a real estate agent, there are ten key questions to ask to get a better idea of what to expect. Make sure that you always invite a potential agent out for coffee or something and have a talk about their experience, their personality, and their level of professionalism. You want to work with someone who has a strong ethical compass and has a history of doing what’s right for their clients. This will allow you to make a rational decision before choosing any agent and then finding out the hard way that they don’t have the experience needed to sell your unique property. How long have you been in residential real estate? Is it your full time job? All professions require training, and real estate is no different. Everything in this industry is learned on the job. An experienced, full time agent will have plenty of on the job training. You be sure that you are working with someone who is successful enough to pay all of their bills off of it. How many homes did you and your brokerage sell last year? This question will get your agent to open up about their past sales. It will also give you a window into how much they know about the current market conditions in your state.